We offer a virtually unlimited palette of colors and patterns in fine hardwoods. Utilize the natural radiance of genuine woods to customize your artistic projects. Exquisite characteristics are unsurpassed in their natural hardwood beauty. Hardwoods have been used throughout the centuries for painting which presents heirlooms of added value to treasure. Today many artists utilize the grain and pattern from the wood to show through their work becoming a part of the overall enhancement of the painting. For the discriminating artist and client we offer numerous concepts for your artwork. 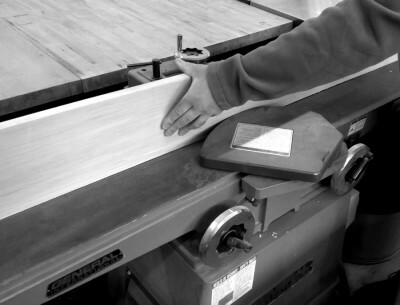 Our Duho Fine Hardwood Panels are made with 3/4 inch solid lumber sides and 1/4 inch birch plywood top with 10m veneer. The Duho Non-Cradled Panels are made using 1/4" - 1/2" birch plywood with multitude choice of veneers. Standard cradled depth is 1.5", with options ranging from 1" - 3". 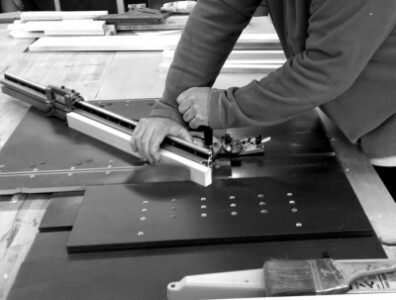 Crossbars and brackets are also added for extra support for panels over 24 inches in length or smaller if needed. 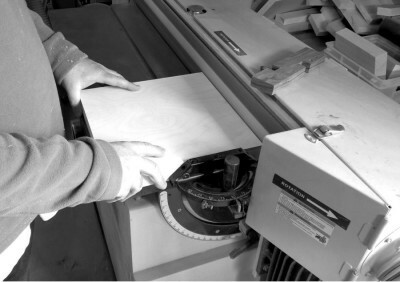 All lumber and veneers are hand-select for finest quality of pattern, color, and grain. Our lumbers are ash, bloodwood, cherry, lacewood, mahogany, maple, oak, padauk, purpleheart, rosewood, wenge, and zebrwood. 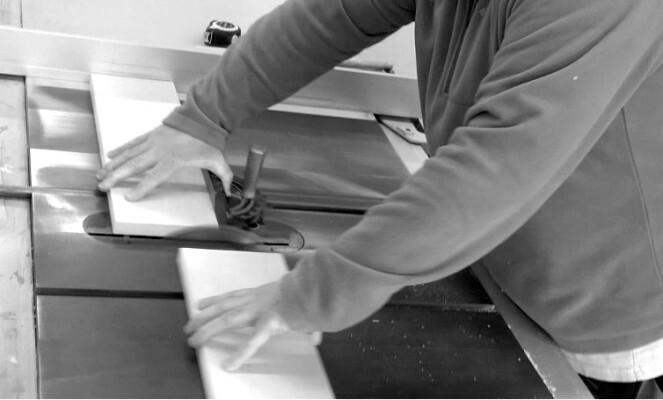 Since all of our panels are handmade, we welcome custom orders at no additional cost. Our material suppliers are in compliance with the Lacey Act, FSC, CPSIA, APHIS, CITES, ESA: in acknowledging and supporting other countries’ efforts to govern their own natural resources and global trade (legal harvesting and replanting practices, legal sustainable logging, legal production and trade, accompanied with valid permits and declaration requirements). We obtain our materials only from FSC Certified Reforestation Programs which are legally farmed, harvested, and sustainable sources that protect our planet’s forests. Duho studios is a contributing members of the FSC (Forest Stewardship Council) and a percentage of ALL our sales goes directly to the replanting of trees. Our hardwoods are all man grown, harvested, managed and replanted at tree farms/plantations. NO products are taken from the rain forests, or any other endangered environments. Due to the natural characteristics of these materials we cannot guarantee identical wood grain, color, pattern, or markings which are ordinary to natural woods, nor availability. Prices may vary depending on global wood supply and distribution. Duho Studios developed non-ferrous metal panels as a dynamic alternative to wood based substrates. Historically, copper plates were used as supports for oil and oil-resin paintings, throughout Europe and particularly in Holland, masters such as Rubens, Rembrandt, Van Mieris to name a few. Metal reflects and refracts light resulting in jewel-like paintings, with luminous highlights and rich deep shadows. We have taken this format and brought it up to date for today's demands. The Duho Metal Panel comes in aluminum, brass, and copper. We apply .040/32 oz metal sheets onto 1/4" plywood tops and 3/4" plywood sides for an extremely stable substrate. The surface is sanded to create a tooth for better adhesion for paint medium. Our new addition, The Duho Hybrid Panel is made with metal and wood combined, putting the best from both materials, and providing a breathtaking frame and panel. Aluminum: Aluminum is the most abundant metal in the Earth’s crust, where the chief source of aluminum is bauxite ore. Aluminum is remarkable for its ability to resist corrosion and to be 100% recyclable. Brass: Brass sheets are made from the smelting combination of copper and zinc, and is a cost effective engineered material. Brass is readily recycled without loss of properties and the infrastructure to do so has been proven over many years. Copper: Copper is the world’s most reusable resource. Because of this quality, only 12% of the planet’s copper has been mined throughout history. Nearly 70% of the copper in our panels comes from recycled copper scraps. Duho Studios is thinking greener by eliminating the need for and the use of solvent based products. We are using a Greenguard Gold Certified-water borne adhesive that's safe and non-hazardous alternative for our environment. This adhesive conforms to the ongoing environmental changes in global regulations. The adhesive used on our Duho Fine Art Panels is pH neutral, acid-free, and completely archival. Our adhesives provide a superior bond quality with reliable performance. Our products are free from manufacturing defects. No guarantee is provided for impact damage, indentations, scratches, surface damages, caused by mishandling of product, protecting, or maintaining the material properly. In no event shall we be liable for any costs or damages associated with the mishandling of product after purchase. Product must not be exposed to extreme variations in heat, cold, humidity, moisture, dryness, or changes in ambient moisture, humidity, dryness, heat, cold. 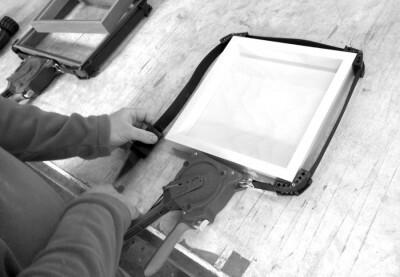 Saturation of water, solvents, acids or chemicals will breakdown the adhesive properties. Application techniques that reduce the product’s support structure in any way can compromise the product’s integrity. Other harmful applications may include excessive grinding, sanding, burnishing, drilling, and torching of metal products. CUSTOM ORDERS CANNOT BE RETURNED OR REFUNDED.